The Argentine boss is reportedly in line to take over as Mexico's national coach, although speculation has linked him with a return to the Albiceleste. Gerardo 'Tata' Martino is leaving Atlanta United at the end of the MLS season after guiding the expansion franchise to unprecedented success – on the pitch and in the stands. The Argentine boss is reportedly in line to take over as Mexico's national coach. Atlanta has drawn level with an MLS record of 69 points (21-6-6) and can lock up the Supporters' Shield for best regular-season mark with a victory Sunday at Toronto. That would also ensure home-field advantage throughout the play-offs and a chance to host the MLS Cup title game on Dec. 8. 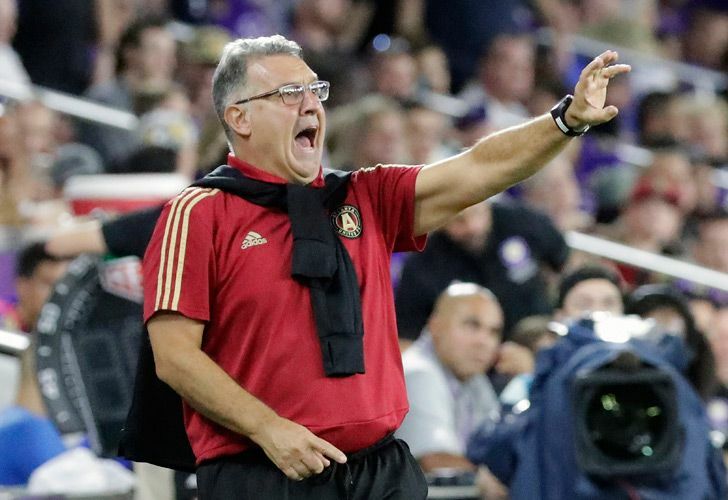 Meanwhile, Atlanta United is beginning a global search for its next coach, with speculation that that they will focus on a replacement from South American to keep alive the pipeline that Martino has established to the football-mad continent. Venezuelan Josef Martinez set an MLS scoring record this season with 30 goals, while Miguel Almiron (Paraguay) and Tito Villalba (Argentina) also emerged as two of the league's top players. Even more than its numerous accomplishments on the field, United has been recognised around the world for its passionate fan support . Atlanta has essentially sold out every league game since entering MLS, setting numerous attendance records along the way. This season, the team averaged 53,002 fans at Mercedes-Benz Stadium to break the mark (48,200) it set in Year 1. United has the seven largest stand-alone crowds in MLS history – all more than 70,000 – and also set records for largest playoff and U.S. Open Cup crowds. In addition, the team drew 72,317 for this year's MLS All-Star Game against Italian powerhouse Juventus .